Google is working on a password generator for Chrome that will generate strong passwords automatically when a user attempts to register at a site. Google says passwords are not a very good form of authentication and one way to solve this problem is through browser sign in and OpenID, but convincing sites to implement OpenID will take a while, so it may came up with the idea of password generator for Chrome. The process works like this, If a user tries to register on a site, 9this can be determined by looking at account name field and two passwords field), Chrome will show an element at the password field and if the user clicks that element it offers to generate password for them. If they accept the prompt Chrome will generate a random password. Users canâ€™t remember these passwords so the risk of phishing, If users remember the passwords they tend use these passwords at other sites that will increase the risk of phishing. There is an issue here, sites have different requirements of the passwords starting from letters to random characters, so users may have to modify the password if it doesnâ€™t work. In the long run this can be resolved by looking at the generated passwords according to Google. Although the process seems to be simple there are some problems for this to work. Google outlined these issues in Chromium developer documentation. 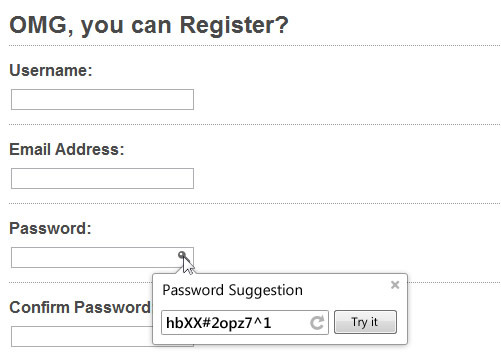 It doesnâ€™t work if the automatic filling of password field is disabled. Users wonâ€™t be able to remember these generated passwords so what happens when a user want to login to their account using another device at work or somewhere. Usually at work place if you have only one browser installed that would be cumbersome for the users. In this cans Google will help users by storing their passwords at one place, which can be accessed via web. But is this a good idea, all your passwords are stored in some Google server and basically you are tied to the Chrome browser. We will have to watch and see how this feature will be implemented. Check out Dashlane, a recently launched password manager, there is also a Chrome extension that can generate strong passwords for you. « SkyDrive premium plans, new Windows and Mac apps revealed ?